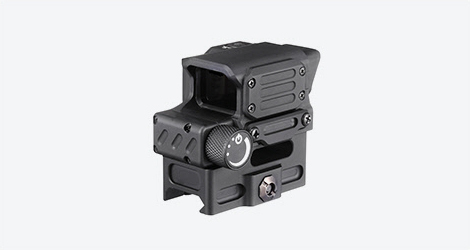 DI Optical’s compact DCL23 prismatic sight weighs just 7oz. and offers full features in a lightweight package. 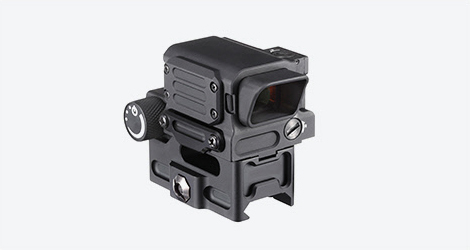 The rectangular 17mm x 23mm lens with a proprietary multi-layer anti-reflective coating provides an exceptionally well defined red dot without ghost image, flare, reflection, or blurriness. Housed in a rugged case CNC machined from a solid block of 6061-T6 aircraft grade aluminum, the DCL23 is unsurpassed in rugged construction. Using the rugged rotary switch shooters can select red dot brightness levels from one to 11 levels. The DCL23 mounts on standard a MIL-STD 1913 rail, or it can be used with an optional lever operated quick disconnect mount. BATTERY LIFE DT mid. Level @ 5,000 Hrs.